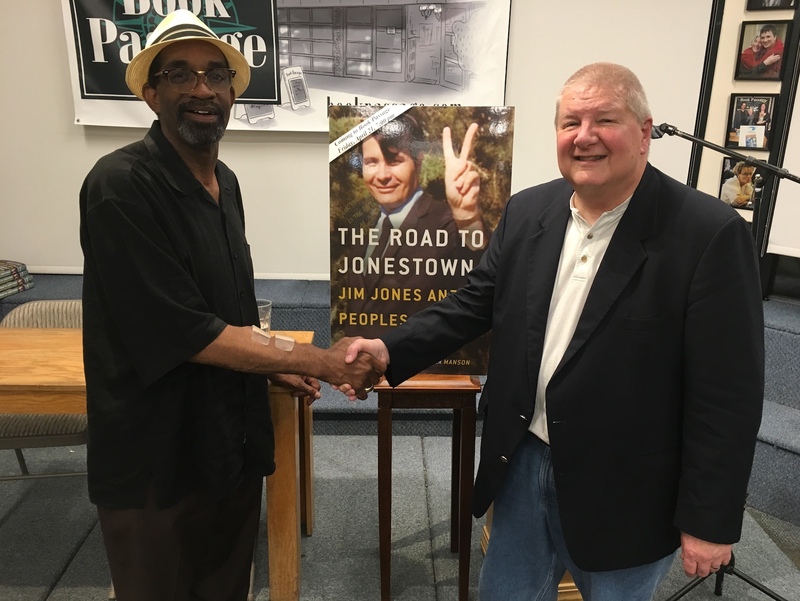 As I write this in mid-September, my book The Road to Jonestown has been out for about five months. Reviews have mostly been good, sales have been steady, and now I find myself wondering how best to express my thanks to the surviving Peoples Temple community. After a lot of thought, and at least two false starts on this essay, I’ve decided it comes down to this: I urge all of you to write your own books, or at least take some steps to record your personal memories. I have said all along, that no nonfiction book can be definitive when the subject is so vast and complex. I spent almost four years researching and writing, and had deadlines permitted, I could have worked four – or 40 – more and still not gotten the whole story. Hopefully my book expanded the pool of Peoples Temple knowledge a little, and, even more importantly, maybe it changed the opinions of some people who previously believed that anybody foolish enough to follow Jim Jones deserved whatever he or she got. I did my best. Now, please, let it be your turn. I ask this in the full knowledge that, for many of you, the memories are painful beyond what any of us outsiders can possibly comprehend. Beyond that, it’s hard to write a book, or even to sit down and talk into a tape recorder or on video. One thing I’ve learned beyond any possible doubt is that the remaining Temple community really is like a family, including all kinds of disagreements about what happened when, who did what, and what the ultimate meaning of it all is. That’s not only normal, but healthy. No two Temple experiences were exactly the same. Each is one piece of a sprawling mosaic. And each, expressed in print or caught on tape, contributes to a better, more comprehensive record. Let me stress why now is the time for everyone remaining to commit to this effort. Time is running out. Nobody’s getting younger. The capacity to remember and record fades with the years. Health breaks down. It’s really becoming a case of do it now or not at all. There’s a fresh audience for the Peoples Temple story. I’ve spent these last months touring to promote my book, appearing on all sorts of television and radio programs, making presentations at bookstores and universities, giving print media interviews. I’m pleased to report that many of those who really want to know what happened – as opposed to having their previous negative opinions confirmed – are young people, college students, and men and women in their 30s and 40s. It isn’t too late to overcome the Kool-Aid mythology for a new generation. There is a convenient clearing house for this information. For now, the Jonestown Institute remains in operation. Any outsider with even the slightest aspiration to understand what the accurate history of the Temple is – or rather, what the many accurate personal histories of the Temple are – comes to this site and makes contact with its managers, Rebecca Moore and Fielding McGehee. As of this moment, I’m aware of eight books either currently being written or at least contemplated by Temple survivors. Good for all of you! I hope every one is placed with a reputable publisher, gets international distribution, and becomes a bestseller. I’m personally ready to help as much as I can. The odds of mainstream publication are pretty long, but that doesn’t mean these projects are any less worthwhile if your main goal is to tell the story the way that you believe it should be told. University presses might be an option. So is self-publishing. There’s absolutely no disgrace in simply recording your memories in some form and making them available through Becky and Mac. The ultimate goal is to expand the available pool of first-person information. What happened to Peoples Temple is important. Those of you who remain part of the Temple community have been through too much to let your hard-won wisdom simply dwindle away. The world still needs good people who teach by sharing their experiences.